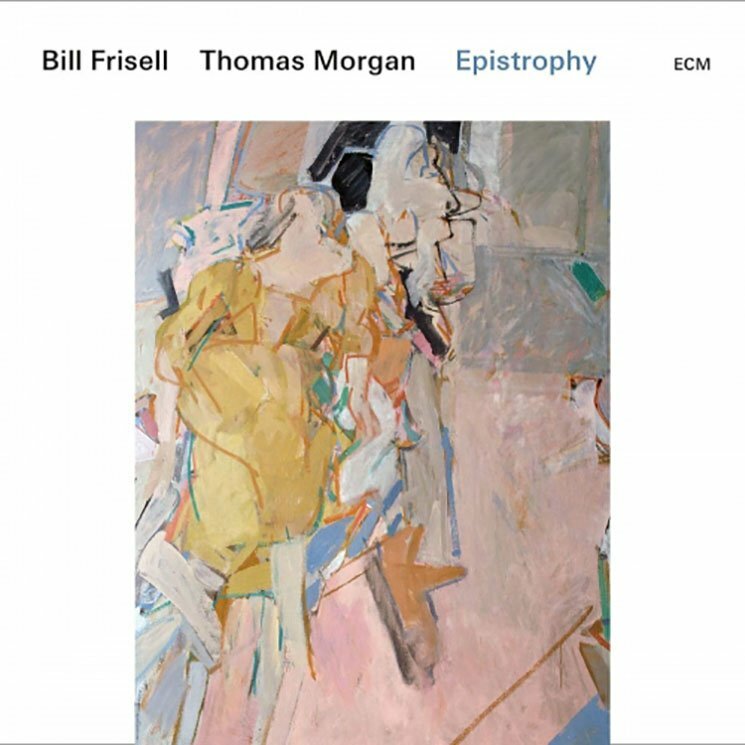 A sequel of sorts to 2017's Small Town, Bill Frisell's new album, Epistrophy, is also taken from material recorded live (at the Village Vanguard in New York in 2016) as a duo with bassist Thomas Morgan. Here, the two mesh well, and their collaboration makes for an interesting listen. Epistrophy features a set list mixing standards — Billy Strayhorn's "Lush Life," and a couple of Monk compositions — with some interesting choices: "Save the Last Dance For Me," "In the Wee Small Hours of the Morning," and the old cowboy song "Red River Valley." While there's a wide range in musical styles, the two sound at home throughout. Indeed, on their reading of Paul Motion's "Mumbo Jumbo," the two trade off on tricky passages, but the playing never sounds busy or jumbled; on "Save the Last Dance" they slow the song down, giving Frisell's guitar room to chime. Perhaps most effective are the two Monk covers. Here, Frisell slides around the tricky passages, his playing at times angular and jagged, at others smoothly finding room to explore the song's melody. Morgan, meanwhile, pushes the rhythm forward with his bass playing, creating a steady groove for Frisell to move around inside.